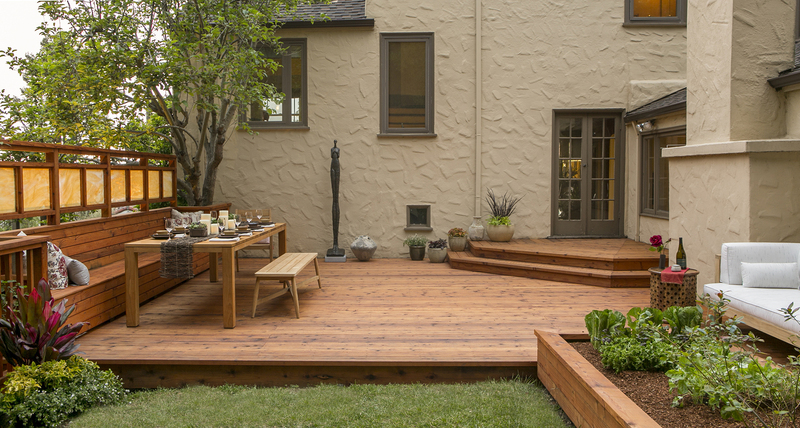 Nearly 40 years old and well past its useful years, our clients' original deck was removed, along with a cracked concrete patio, and replaced with 400 sqft of stained redwood. 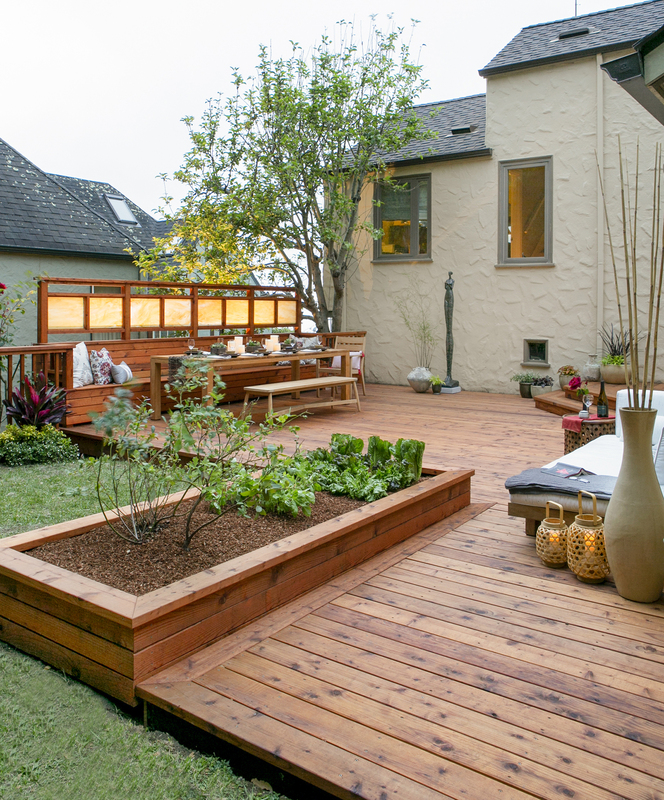 The new design wraps almost entirely around the back of the house, including a raised vegetable bed, drastically improved the indoor/outdoor flow and accessibility. 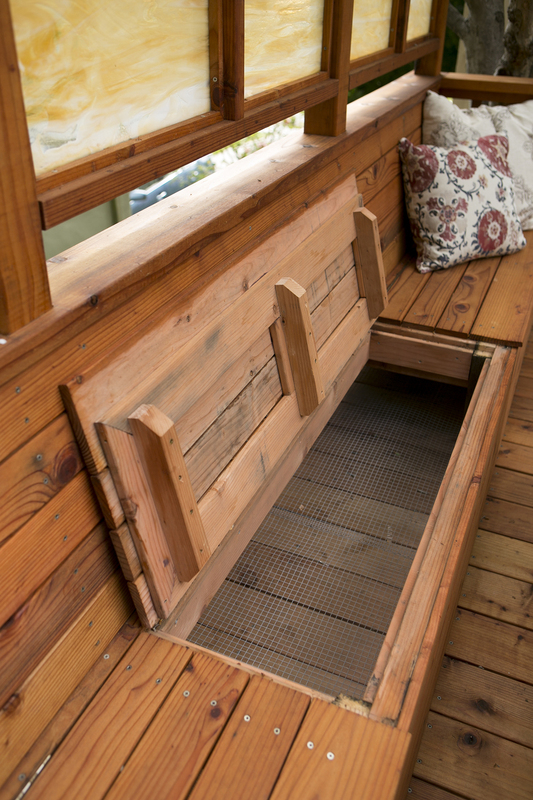 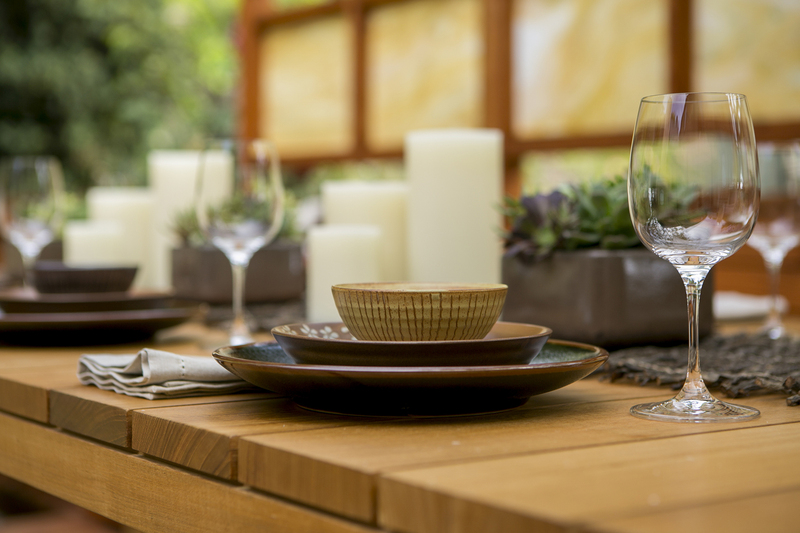 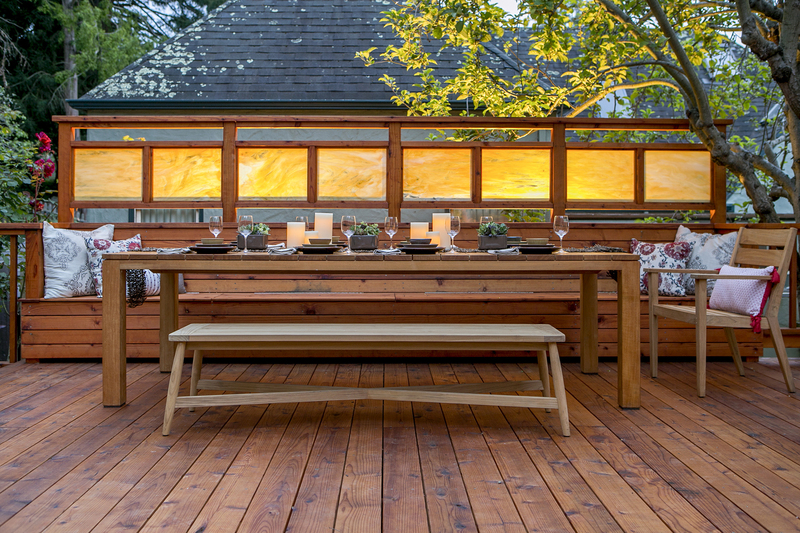 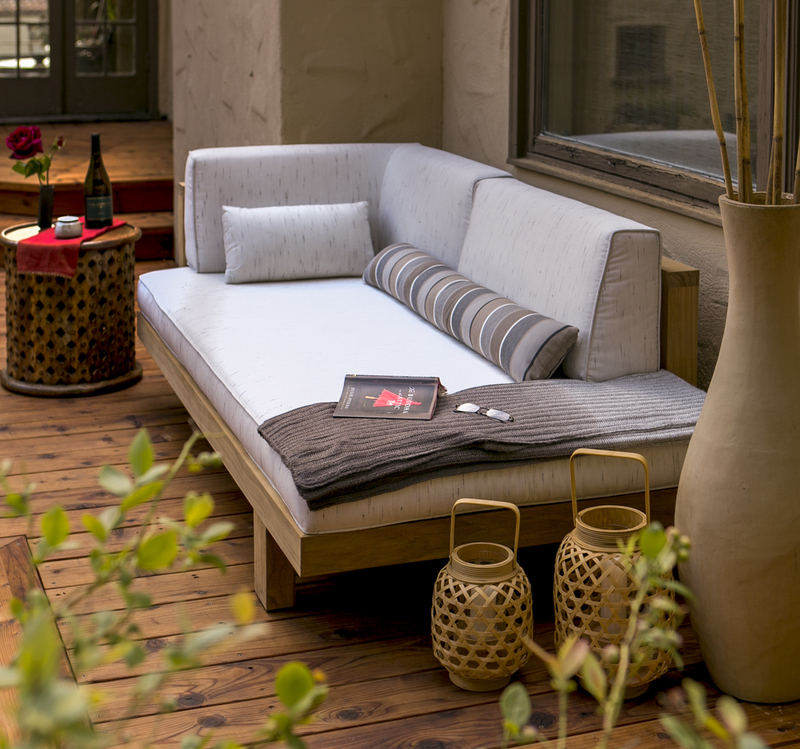 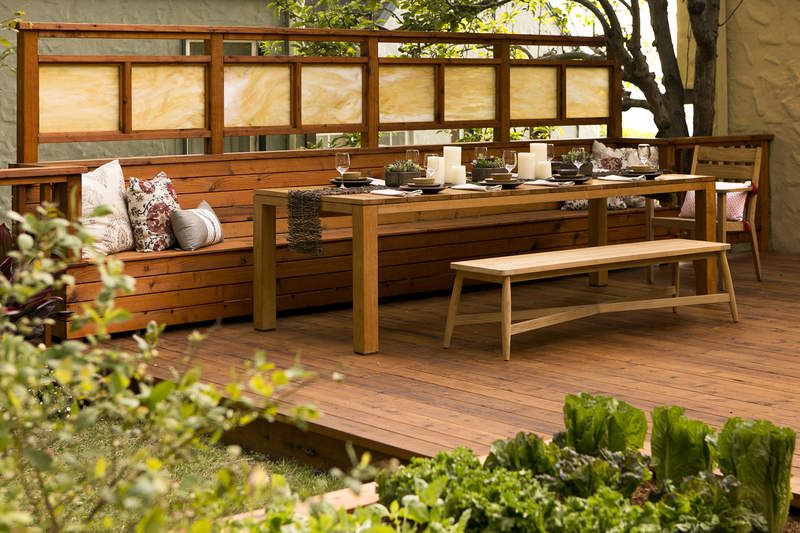 The south perimeter of this expansive deck, closest to the neighbor’s home, includes bench seating with ample, hidden storage beneath hinged lids. 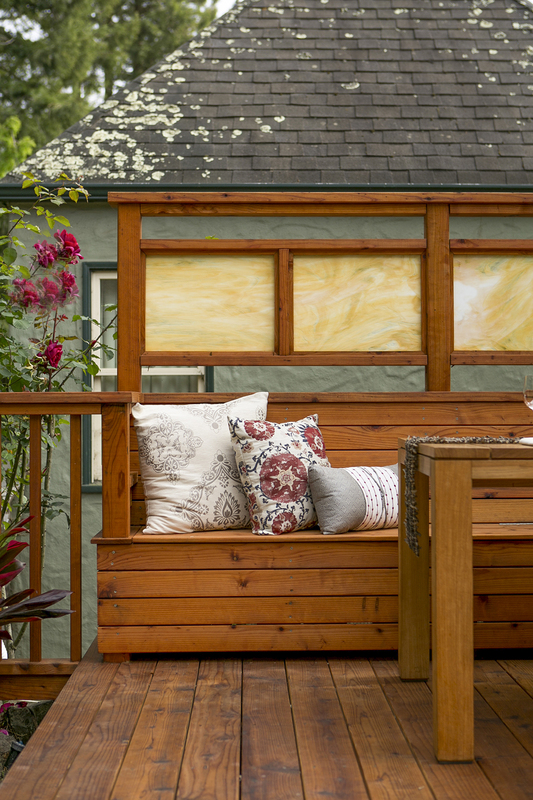 Above, handmade Arts & Crafts glass panels provided the perfect privacy solution for my clients—and their neigbhors—and a beautiful view for all.